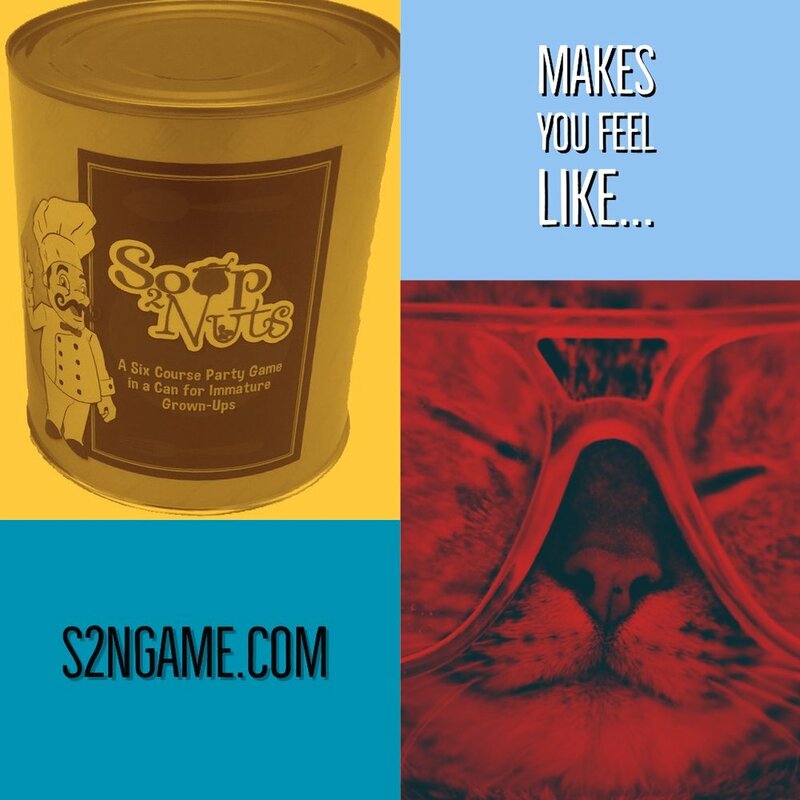 Soup 2 Nuts is everything you love about party games, in a single party game. "Soup to nuts" is an American English idiom that conveys the meaning of "from beginning to end". 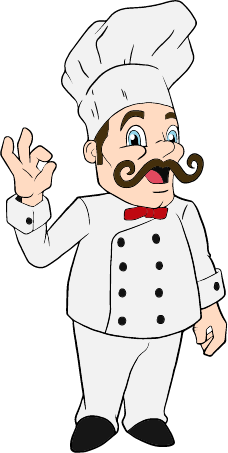 It is derived from the description of a full course dinner, in which courses progress from soup to a dessert of nuts. It conveys the spirit of all inclusive and a little bit of everything. 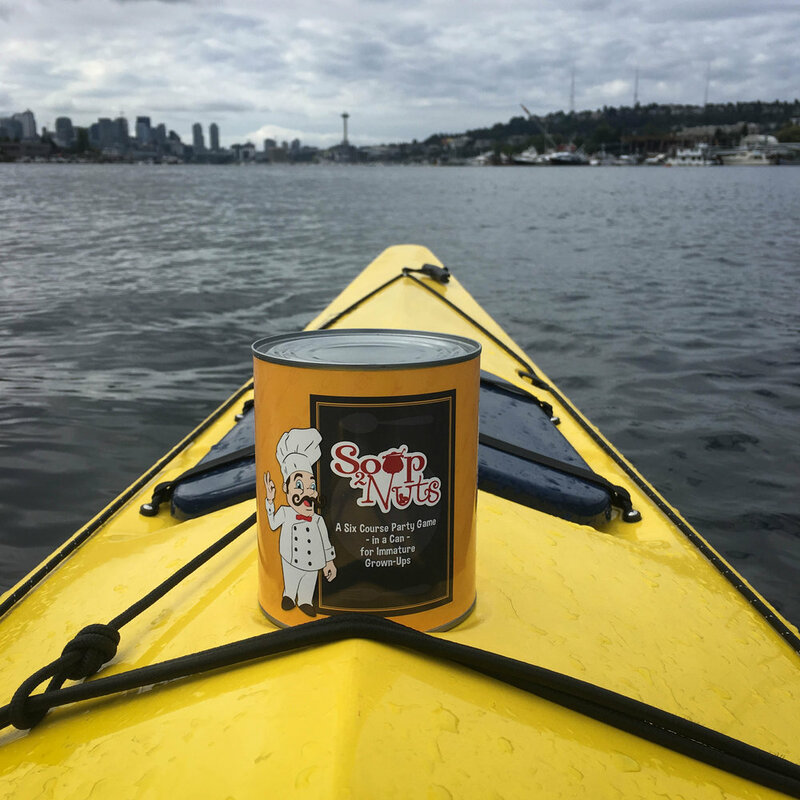 Do you seek a full sensory experience? Completeness? Satisfaction? Soup 2Nuts comes with everything you need to keep your guests entertained. 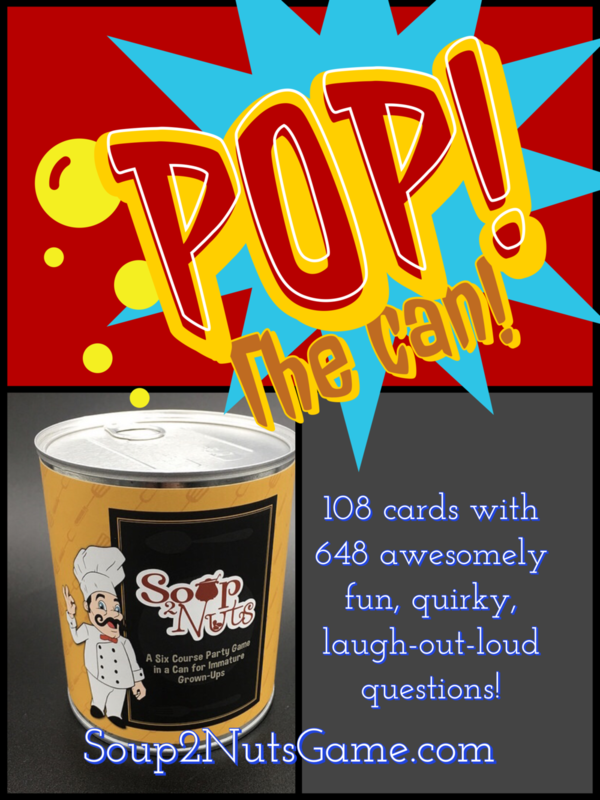 Over 108 cards with 648 questions will ensure your gaming experience never gets stale. This adult party game was created with love by our team of gaming experts, purely for your pleasure. Buy this game today for yourself, your friends, your co-workers…really any immature adult you know!